Are you a Multiplier or are you a Diminisher? Do you manage people? If you do, here’s a question you’ve probably never been asked before. Are you a Multiplier or are you a Diminisher? It was 2010, and I was a year or so in to my first SaaS company, and I bought a book called Multipliers by Liz Weisman. The message and lessons in this book resonated with me hugely. And I think those lessons matter to SaaS company Growth. There are two types of people in the book. Let’s see if you recognize these characters. The first is a Diminisher. The Diminisher drains your energy, enthusiasm and motivation. They remind me of the dementors in Harry Potter. The truth is that they make you dread going to work. How would you spot one? They tend to have to be the smartest person in the room. They don’t use the talent around them well or at all. When you’re in meetings, people that are normally full of ideas, are quiet and offer less or nothing. They always point out mistakes and rarely see the great work going on. And here’s the punchline: How much effort do Diminishers reports give? The research suggested 20 – 50% – OUCH! So let’s just agree, that is you want to succeed as a SaaS company or any company, you can’t have these people in the building. You can’t have your people giving 20% – 50% of their full effort. Now the second type of person is a Multiplier. They are the exact opposite. A Multiplier is the person you want to be, and who you want everyone that manages people in your company be. The first thing about a Multiplier is they attract talent, they are the people employees want work with and for. They can bring a team together and lead it. They make good employees great. They tap into what is called Discretionary effort. This is the effort over and above what people need to give, not to be fired. And in my experience, a company powered by energised, focused people giving their discretionary effort freely, is a formidable foe. So let’s all be better Multipliers as we can’t afford not to be frankly. Look everywhere for talent, not just in the traditional places and hierarchies. Look for peoples natural talent, the things they can just do. Fit talent to the right roles. Smooth the path for talent to shine, removing bad apples, and Diminishers. Ask for people’s best work. Once of the sentences I used to ask sometimes, even sometimes before I was presented to, was ‘Is this your best work’. It was amazing how often people said no, and how appreciative they were to be asked and then given the opportunity to do their best work. So we need to give people the space they need to do their best work for you. Give people direction and help them set the right Goals, then let them work out the best path – which of course is a key part of what ZOKRI is designed to do. Have good, rational analytical debates, based on facts, not random thoughts and emotions. Again, a key part of what ZOKRI is about is giving teams space, whilst ensuring leaders are in control. Don’t micromanage and make people leadership dependent. The right people don’t want or need micromanagement they need direction. Make sure people don’t fear failure and learn from mistakes. You can’t be a fast growth SaaS company if you’re not bold and ambitious. Make sure people have the resources they need to succeed, whether that’s support from other team members or teams, or hard cash. 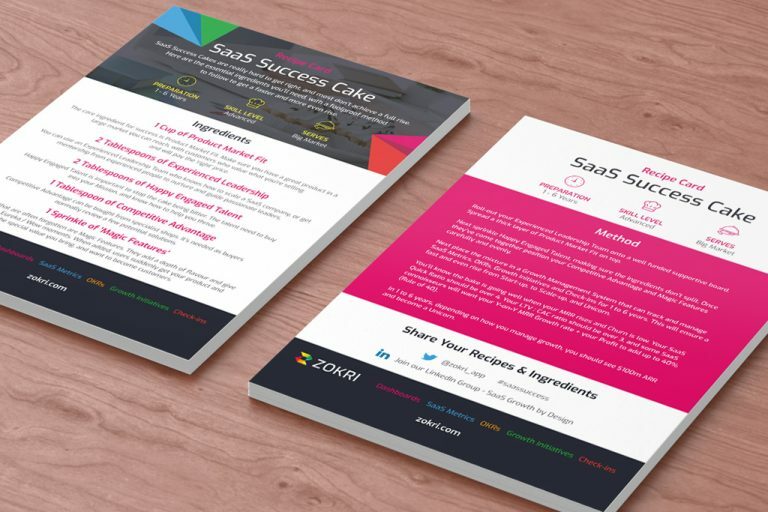 So here’s our collective challenge if we want to grow our SaaS companies. We need to all become better Multipliers and stamp out Diminishers. If we do, we grow faster and increase our chances of success. I think this so important that I’d like to carry on this debate. Have you worked for a Multiplier of Diminisher? What were the tell-tale signs of each? Have you ideas on how to be a better Multiplier you could share in the comment? PreviousRemote Working: Accelerate Or Slow SaaS Growth?